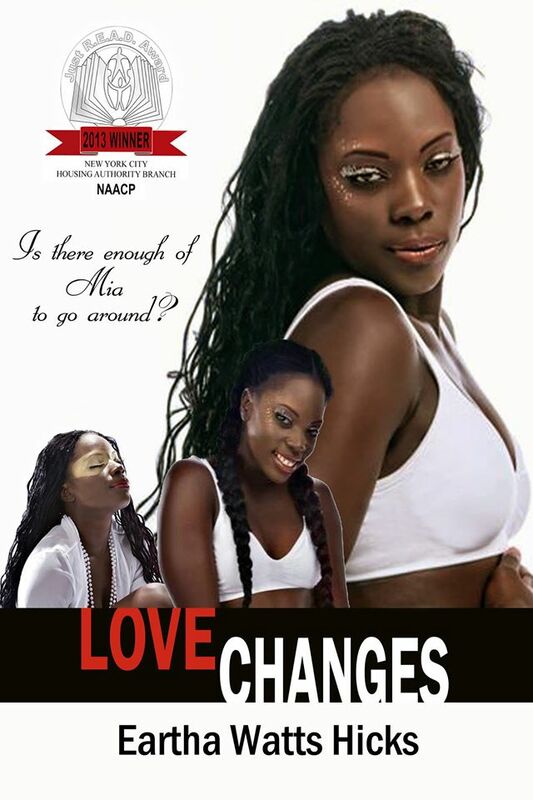 Book Release & Reviews: Love Changes by Eartha Watts-Hicks | STREETS OF NEW YORK 411 INC.
LOVE CHANGES is winner of the Just R.E.A.D. Literary “Game Changers” Award in the fiction category from the NYCHA branch of the NAACP. I stepped through the double glass doors of the sky lounge into the moist heat outside and took a good look. Scattered clouds stretched through the evening sky like tulle. In the still wind, somehow all drifted southeast—all, except a dense plume looming above. My heels clicked with each step across the paved walkway, until I reached the stone fire pit at the other end. The sun was long gone, and there were no stars; the moon was nowhere to be seen. Even searching the clouds, I didn’t see any blurred circle of light or any portion of the moon, just darkness. Off in the distance as far as I could see, more darkness was closing in, making the flattened skyline of Queens resemble an industrial graveyard. I took a deep breath, inhaling muggy air seasoned with salt from the East River. Then, I kicked my shoes off and knelt on top of the fire pit, hoisting myself up to get a better view over the concrete wall. My heart felt like it was twice as large; it was exploding out of my chest in heavy thumps that throbbed even more than my now rock-hard breasts. The porous concrete felt scratchy against my arms, but bracing myself, I peered all the way down. There were no obstructions. It would be a straight drop. I returned to my feet, picked up my pumps, and took a deep breath. Now, it was time to work up the nerve to do this. Please show support by also LIKE-ing the FaceBook page: http://www.facebook.com/earthawattshicks.lovechanges.